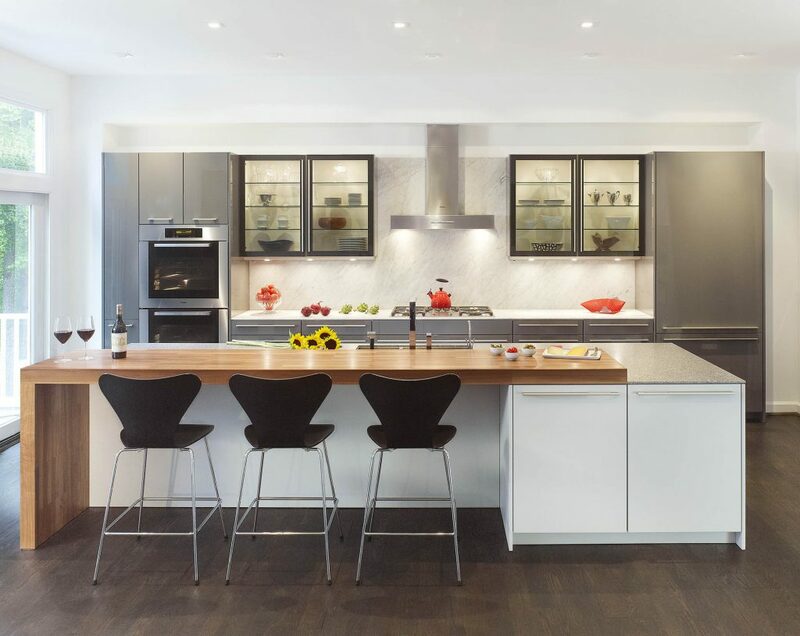 Careful mechanical changes and meticulous material selection combined to create this hard-working modern kitchen with ageless appeal. 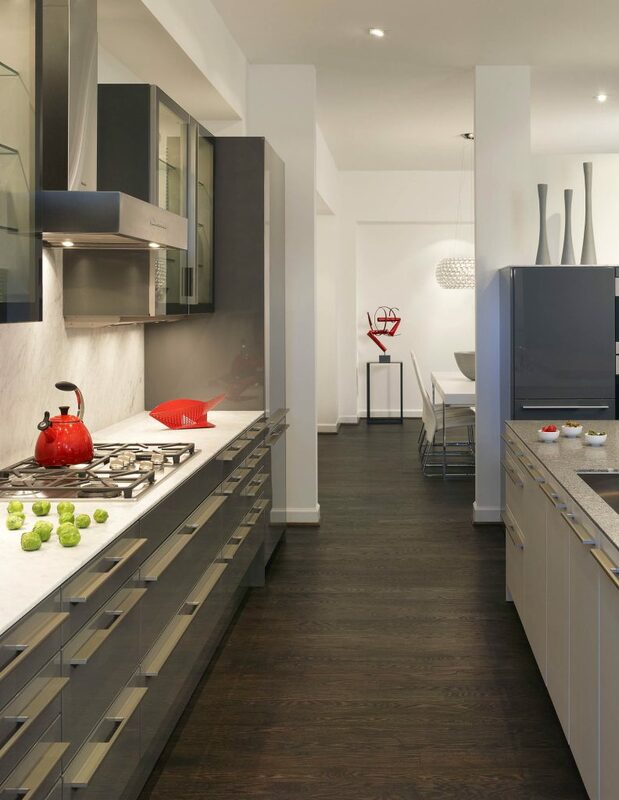 Glossy gray lacquer and smoky glass cabinets—with a striking marble backsplash and counter—fit snugly along one wall. The island’s matte gray cabinets and granite counters balance against the welcoming walnut-topped bar, which measures nearly seven feet for ample seating. Eliminating an awkward angled wall improved connectivity to adjacent dining and family rooms while strategic wall punches conceal pipes that had to be relocated to open up the space. The captured space also made way for wider aisles, additional storage, and a complete suite of professional-style appliances.